Jana Sena Party chief Pawan Kalyan’s UttarAndhra yatra will conclude today. On the last day of the tour, Pawan Kalyan will host a rally in Vizag from Kali temple to YMCA centre. The Jana Sena chief will be demanding special category status to Andhra Pradesh state and railway zone for Vizag city. 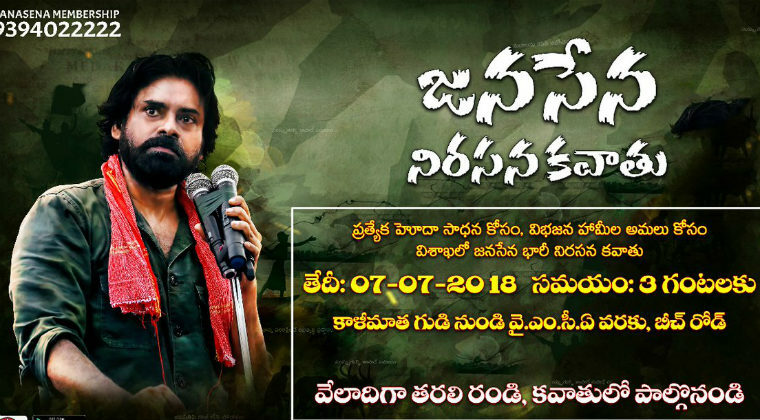 Jana Sena Party workers and supporters are expected to take part in this rally in large number. Pawan has been very vocal against Telugu Desam and YSR Congress in the recent times. Let’s see what he has up against BJP.